The Sri Lanka Transport Board (SLTB) is to commence Luxury Bus Service on the Colombo-Katunayake Expressway from Sunday (October 28). Fares from Colombo to Ja Ela will be Rs 100 per person while Colombo to Katunayake and Negombo will be Rs 130 and Rs 150 respectively. Sri Lanka has been ranked 88 in the 2013 Henley & Partners Visa Restrictions Index which puts it in the top few countries with the worst travel restrictions in the world along with countries including Afghanistan, Sudan, Iraq and Somalia. The sun-kissed Indonesian island of Bali has toppled Sri Lanka from the top spot as the ‘best value’ long-haul travel option in a new list of popular holiday destinations. The latest Post Office Travel Money Long Haul Report - which gauges the countries that offer the most in return for tourists’ holiday cash - shows Sri Lanka slipping to fifth place behind South Africa, Vietnam and Thailand. Sri Lanka is preparing to host the 33 finalists of the Miss France 2014 pageant to a tour of the island. Thus, Sri Lanka becomes the first ever country in South Asia to be selected as host destination for a Miss France pre-pageant. The tour will be recorded and televised during the live telecast of the finals through TF1 to millions of enthusiastic global viewers. The Sri Lankan Embassy in Riyadh is aggressively promoting Sri Lanka as a tourist destination and plans to double Saudi tourist visits from 19,500 to 40,000 in the next three years. The country plans to attract 100,000 Saudis over the long term said the country’s ambassador, Vadivel Krishnamoorthy, at the Sri Lanka Tourism Promotion symposium at the Faisaliah Hotel in the capital on Sunday. India continues to lead as Sri Lanka’s largest source market and a target for the country’s promotions efforts, despite a 1.7 per cent fall in the number of arrivals year-on-year. 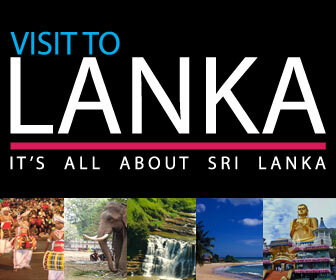 According to statistics from the Sri Lanka Tourism Development Authority (SLTDA), Indian arrivals dipped to 83,981 in 1H2013 from 85,426 in 1H2012. Sri Lanka’s hotels are overcharging for rooms in an attempt to cash in on growing visitor numbers after a decades-long war, a minister said Thursday. Investment Promotion Minister Lakshman Yapa Abeywardena said some hotels had hiked up room rates 10-fold since the end of the war in 2009 without improving service. Minister of Investment Promotion, Lakshman Yapa Abeywardena addressing a press conference in Colombo today (July 11). John Keells Holdings Plc, Sri Lanka’s biggest conglomerate, has been given approval to build a $850 million luxury resort that will include hotels, shops and apartments, Investment Promotion Minister Lakshman Yapa Abeywardena said. “John Keells earlier proposed $650 million, but now they have said they are willing to invest $850 million. We have given approval for the proposal with all the appropriate tax concessions,” Abeywardena told reporters in Colombo on Thursday. Passenger traffic from the Middle East to Sri Lanka has been on the rise and overall traffic from the Middle East has contributed the second highest revenue to SriLankan Airline’s network, next to the Far East, according to Kapila Chandrasena, CEO of SriLankan Airlines.